MAX out with the FREE Workout of the Weekend: MAX Tabata Test! For this first June Workout of the Week(end) we’re revving it up to full intensity and calling for max effort and max repetitions! The ‘Tabata Protocol’ was developed in Japan for highly-trained endurance athletes. Here at Skimble this workout follows suit, starting with a 5 minute warm-up, then 4 rounds of 20 second high intensity exercises, followed by 10 second rests. Finish up with two minutes of cool-down. Test your athletic-self with Tabata and see if you can beat your personal best the second time around. Let us know how you did in the Community Forums and see how it compares to your fellow skimblers! 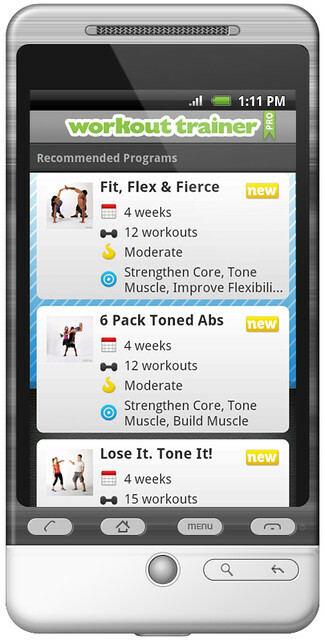 Get the latest iOS Update for Workout Trainer today! Community Forums – Here you can share your health journey and help others with theirs. With topics such as “Ask the Pros”, “Motivation & Support”, and “Nutrition and Cooking” you’ll find there’s something for everyone. Filters – We’ve expanded the search parameters, so you can specify what areas you’d like to target, desired length and intensity of your workout, and with what kind of equipment (or none!). 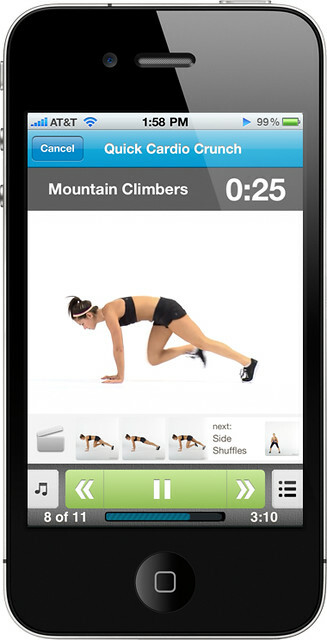 You can also utilize our Shakerciser feature, a tool that instantly creates a workout for you based on your preferences. 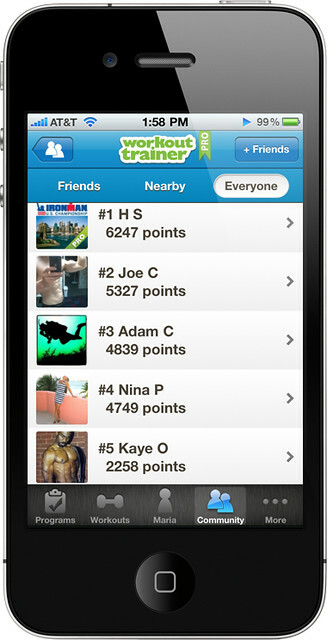 Activity Leaderboards – You’ve been earning points for the various activites you’ve been logging (in both our Workout Trainer and GPS Sports Tracker apps). Whether you’re stretching for 5 minutes or participating in a marathon, we want to make it fun to see who’s the most active among your friends and fellow Skimblers. And don’t despair, the leaderboards reset every month so you’ll always be a contender! Not to mention we’ve added more Programs, Videos, Audio & Exercises! Get the update today and let us know what you think! 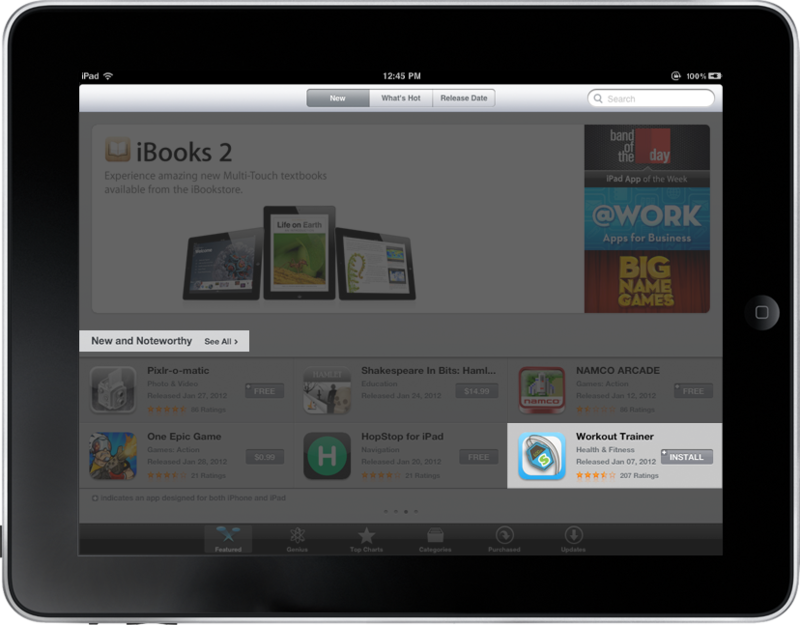 Skimblers, As you may know the iPad 3 has recently launched…and it’s a beauty! We wanted to make use of its retna display and take our multimedia to the next level. Now with the latest Workout Trainer app update, PRO members can watch HD (iPad) and hi-def (iPhone) exercise videos as they follow suit! 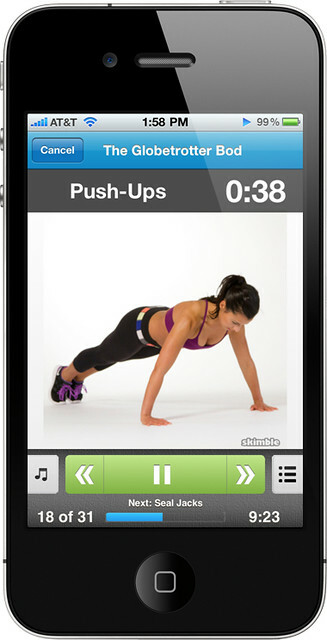 We’re starting to roll out hundreds of videos so you no longer wnt to buy another fitness DVD. 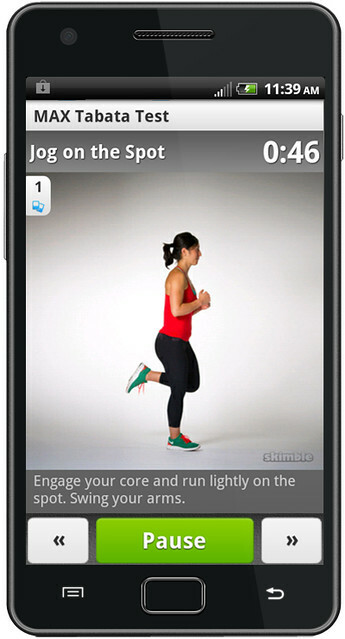 Get the latest iOS update, go PRO and enjoy the new HD video experience by completing our Workout of the Week, Quick Cardio Crunch. Stay tuned Android users! You’ll start to see PRO videos in our upcoming release. 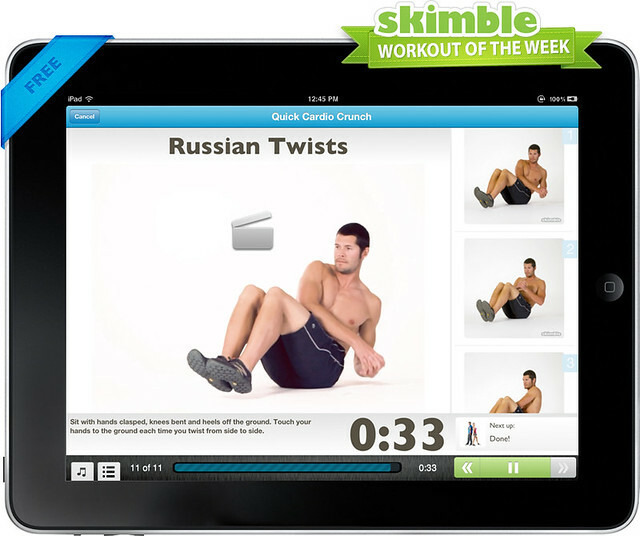 Over 25 years of Workouts completed in Skimble Workout Trainer app. Thank you! 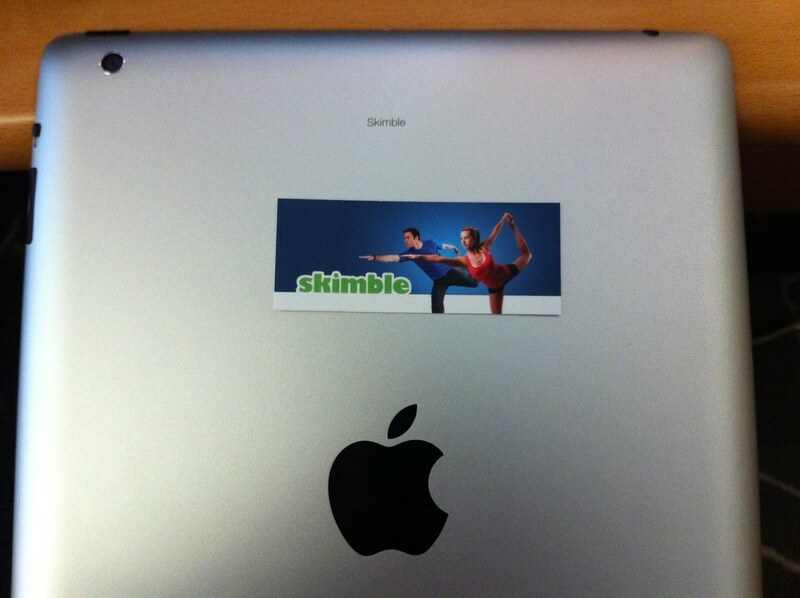 Hey fitness friends, Skimble‘s passed a quarter century milestone. 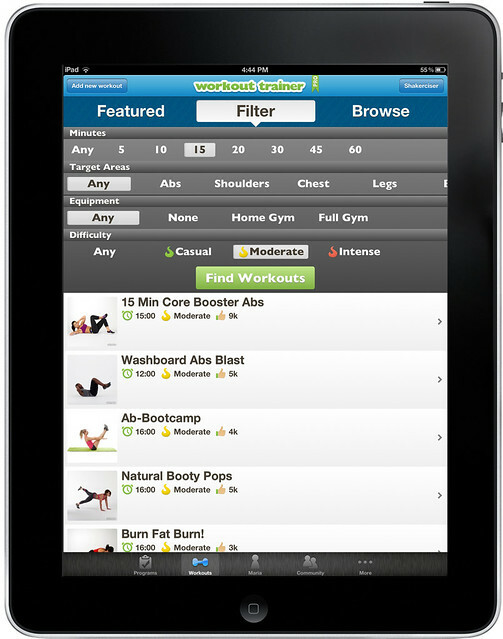 We’re thrilled to announce over 25 years of workouts completed in our top free app, Workout Trainer, for iPhone/iPad/Android. We’re always getting testimonals from people who’ve used Workout Trainer to lose a ton of weight, get a 6-pack, train for urbanathalons and the likes. Whether you are just getting off the couch, staying agile at your 9-5 office job, or an athlete in training, Skimble’s here to help everyone achieve their personal bests and live a healthier lifestyle. You amaze and inspire us by making huge habit-forming changes in your life. Thank YOU for all your dedication along the way…the adventure continues with Skimble!